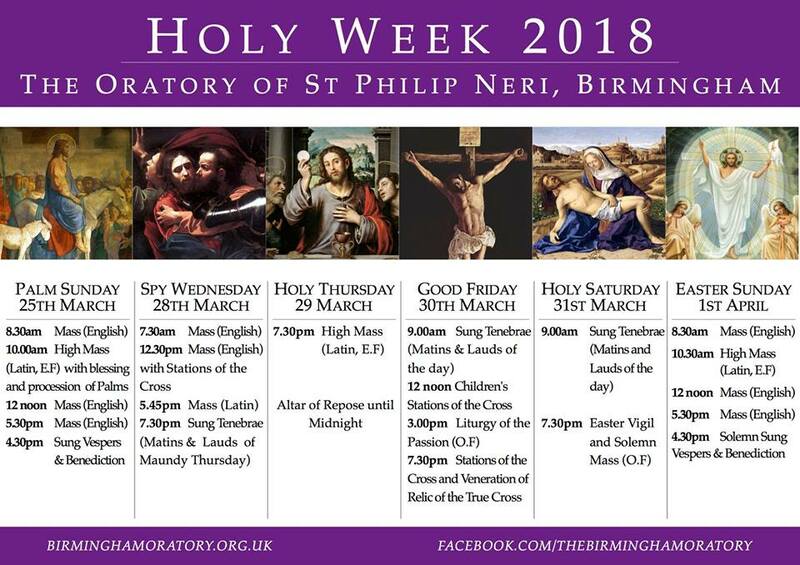 The Mass schedule for Holy Week at the Birmingham Oratory is above. Please note the Mass on Maundy Thursday is in the Extraordinary Form, with the usual Mass times on Spy Wednesday and Easter Sunday. 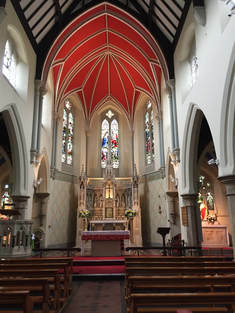 In addition to the above, there will be low Mass at 6.30pm tonight at Our Lady of Perpetual Succour in Wolverhampton (replacing the Mass that would normally take place on Friday). 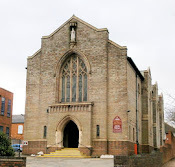 On Easter Sunday, there will be a low Mass at St Mary on the Hill in Wednesbury at 8.30am. Obviously all the usual Masses on Friday and Saturday will not be celebrated. 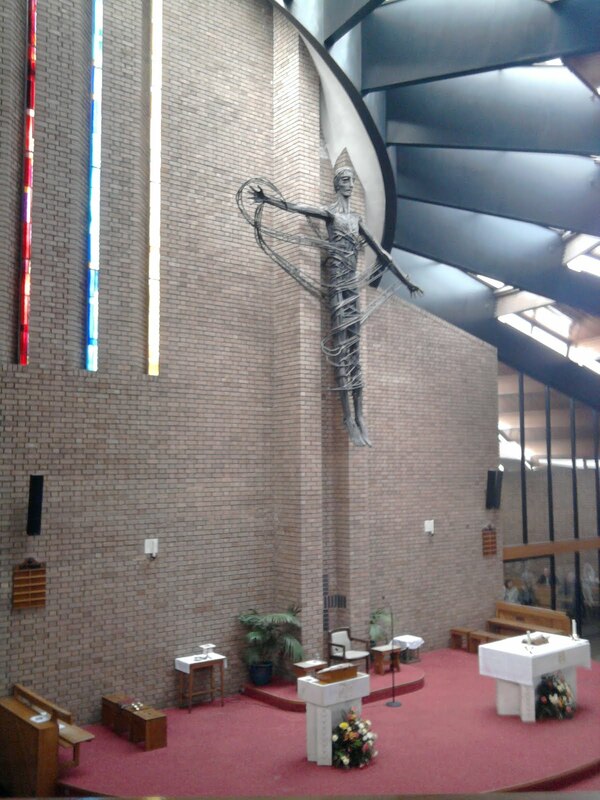 I wish all readers of this blog a happy and holy Easter celebration.